Two years after the events of the first film, the Autobots alongside the British and American military have joined forces to form an organization named NEST to combat the Decepticons hiding out on Earth. Optimus Prime leads NEST into Shanghai, China, to eliminate several Decepticons. He is joined by newcomers including Arcee, Sideswipe, the Twins Skids and Mudflap, and Jolt. Optimus kills Demolishor but not before the Decepticon utters that the Fallen will "rise again". American National Security Advisor Galloway berates the Autobots and NEST, suggesting that the Autobots leave. While Optimus does agree to this if the President of the United States of America commands this, he questions what will happen if the planet is left defenceless. Soundwave, a Decepticon intelligence officer, hacks into a satellite and discovers the location of Megatron's corpse and the location of a piece of the AllSpark, the source of the Transformers' existence. Soundwave deploys his minion Ravage to retrieve the shard, which he succeeds in accomplishing. The Constructicons and a surgeon-robot named Scalpel revive Megatron. Megatron flies to a Decepticon spacecraft where he is reunited with air commander Starscream and the Fallen, Megatron's master. The Fallen intends to destroy the Sun and Earth in the process. Sam Witwicky heads off to college in an attempt to live a normal life. Whilst packing, he finds another shard of the AllSpark which fills his mind with ancient Cybertronian text. The AllSpark fragment also brings kitchen equipment to life, although they are destroyed by Sam's guardian Bumblebee. Sam entrusts the shard to his girlfriend Mikaela, who hides it in her father's safe at a motorcycle garage. Decepticon Wheelie tries to steal it, but is captured by Mikaela. At college, Sam meets his roommate Leo Spitz who runs an alien conspiracy website, and a girl named Alice who makes disturbing advances on Sam. Sam begins to constantly see Cybertronian text, writing it on everything, and has a mental breakdown in his astronomy class. Mikaela comes to Sam's aid, just as he is nearly killed by Alice, revealed to be a Decepticon Pretender. Mikaela disposes of Alice, but Sam, Mikaela and Leo are confronted by Megatron, Starscream and Scalpel. As Scalpel prepares to dissect Sam's brain to get information on the location of a new Energon signal, Optimus and the other Autobots arrive. Optimus takes on all of the Decepticons but is severely wounded by Megatron, entering stasis lock. The Decepticons invade the planet, the Fallen demanding that Sam be surrendered. Meanwhile, Galloway shuts down NEST, and Sam's parents are captured by Rampage in Paris. Sam, Mikaela, Leo, Bumblebee, Wheelie and the Twins escape being captured and Leo suggests seeking the help of his website rival "RoboWarrior", who is revealed to be former Sector Seven Agent Simmons. Simmons reveals his hidden archive of alien research and explains the history of the Transformers on Earth. It is explained by Wheelie that the language Sam sees is of the Dynasty of Primes, the original thirteen Transformers, who powered the AllSpark like a battery by destroying suns. Wheelie leads the group to Jetfire, an old Decepticon called a Seeker who defects to the Autobots, along with Wheelie. Upon learning the situation, Jetfire uses a Space Bridge to teleport the group to Egypt. He explains that the Primes used the suns to power the AllSpark by using machines called Sun Harvesters, which were powered by the Matrix of Leadership. 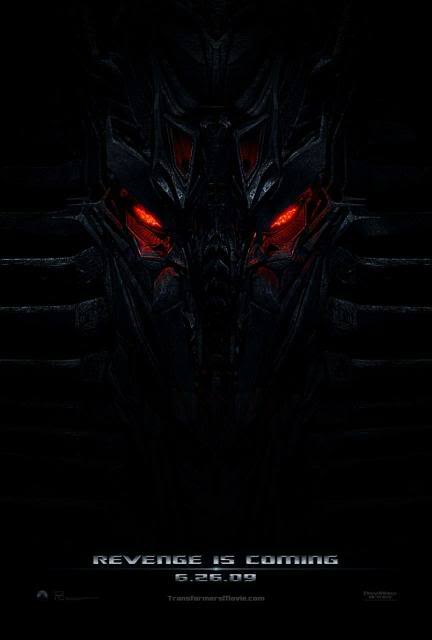 However, the Fallen betrayed them, and sparked the war for the AllSpark. The other Primes defeated the Fallen and then killed themselves to seal away the Matrix, the tomb hidden somewhere in the desert. Through clues, the Matrix is found in Petra but it crumbles to dust in Sam's hands. Nevertheless, Sam piles the dust into his sock. Simmons contacts Major William Lennox and his troops and asks them to bring the Autobots and Optimus' corpse to Egypt so Optimus can be revived, a Prime being the only one capable of killing the Fallen. The military arrive but so do the Decepticons. Leo, Simmons and the Twins face off against Devastator, the combined form of the Constructicons, who scales a pyramid to unearth the Sun Harvester. Devastator is ultimately destroyed by a rail gun round fired from a nearby destroyer on Simmons' orders. Bumblebee rescues Sam's parents, and kills both Rampage and Ravage. Aerial reinforcements are summoned, killing Long Haul, Scrapper, and Hightower. However, Sam is caught in the attack and is severely injured; in his unconscious state, he has a vision of the Dynasty of Primes. Sam reawakens, telling Mikaela that he loves her just as the Matrix regenerates, and Sam uses it to revive Optimus; however, before Optimus can be fully revived, the Fallen travels through a space bridge and takes the Matrix back out of Optimus' spark. Jetfire fights and kills Scorponok, but is mortally wounded, so gives up his own spark and parts to Optimus, giving him the strength to destroy the Sun Harvester and kill the Fallen. Megatron and Starscream make a tactical retreat. The film concludes with Optimus proclaiming that the Transformers and humans now share an untold history and will combine their differences. hala OMG. me must not read! !...SPOILER ALERT! Nyahahaha!! im so adik.....when i watch the movie i must be so surprised! NOPE! NEVER!!! now, im trying to tell myself that Transformers is the worst movie i've ever seen. so when i go to the theatres, it's gonna be cool! anyway im posting about Transformers 2 at movie at trailers later or maybe tomorrow. there's trailer 2. just released today. TRANSFORMERS TRAILER 2! sooooooooooooooo cool! better watch this in the cinema. to everyone: TRANSFORMERS 2: Revenge of the Fallen, NOW SHOWING!!! can't wait for Saturday! DIRECHO CDO!!! hahaha! hahaha! my most-anticipated movie of the year! nooo! !i cant watch at cdo.we still have the review.gosh! haha! im planning to go there on July 5, sunday. my family's going so of course i'm going too!!! edmund. know do you know me? no i don't know you. get out! joke...yeah i know you, you're the fat guy...joke again! if you will, you'll be wasting the movie effects. or if not, just watch it here in iligan theatres. i hope it will be at ULTRA. i think ultra is ok.
yup i think so. the one beside FK is plaza right?